A Kazakh nomad lets his eagle fly over open terrain in the Mongolian Altai. 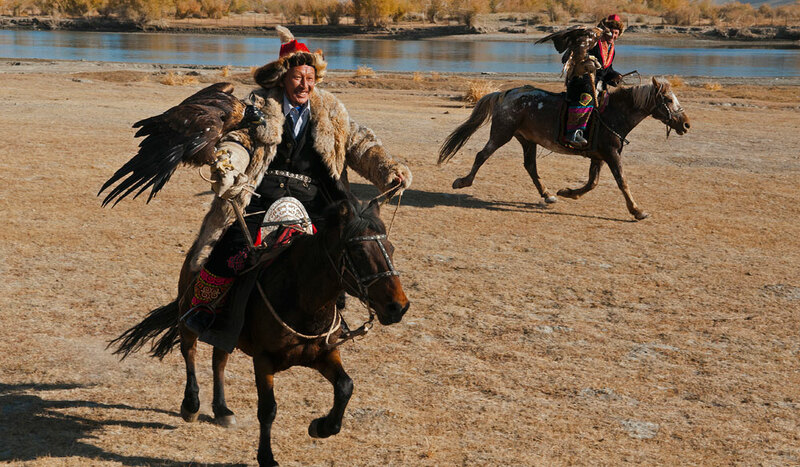 Two Kazakh eagle hunters dressed in traditional furs, ride near the Sagsai River in Bayan Olgil. Man's best friend: Kazakh eagle hunter and his bird. 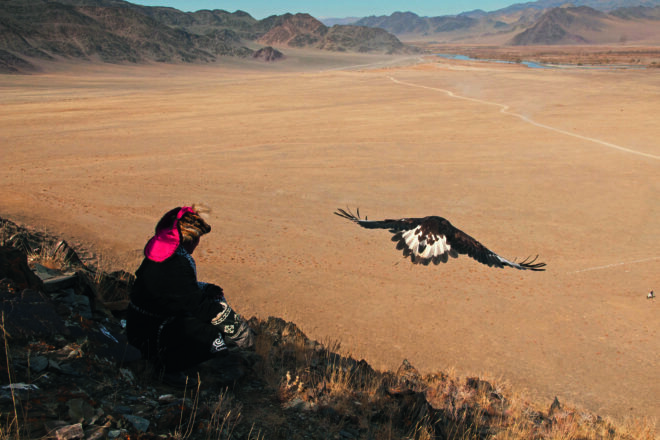 Dave Stamboulis went to photograph the Kazakh eagle hunters in Mongolia. 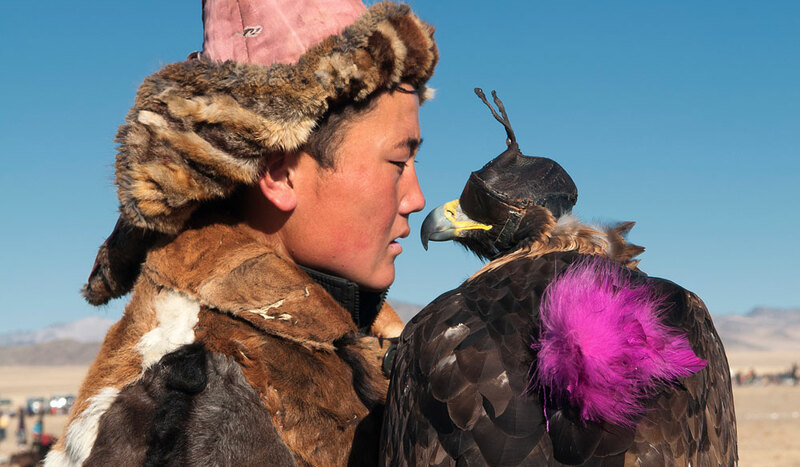 While the eagle hunters do have mobile phones, they still live a hard life on horseback, living in tents, and carrying on the traditions of their great great grandfathers. Late May through to September is the best time to travel with clear and warmer weather – although you will still need to pack your cold weather gear as it can still be cold in the mountainous areas and temperatures can drop at night. You may experience some rainfall during the summer months (June and July). Mongolia’s famous Naadam Festival occurs from July 11-13 each year in the country’s capital Ulaanbaatar. 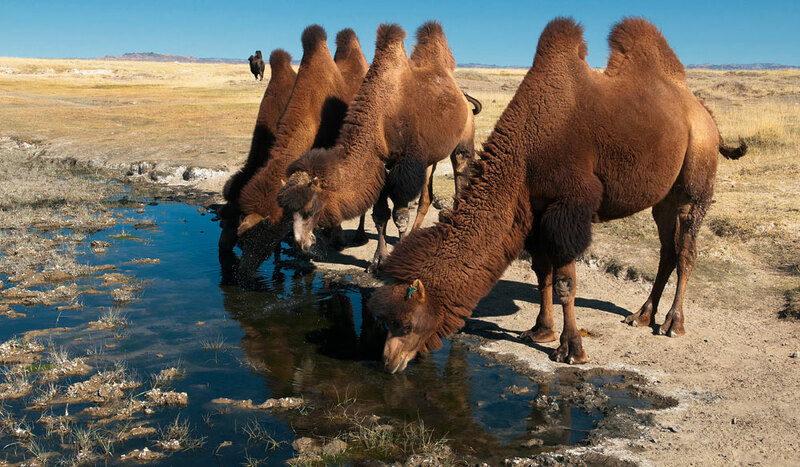 The festival celebrates the nomadic traditions of Mongolia. Expect a lively atmosphere with traditional music and food, and enjoy watching the local men compete in the ‘three manly games’ – horse-racing, wrestling and archery. Fly to Ulaanbaatar via Beijing with Air China. 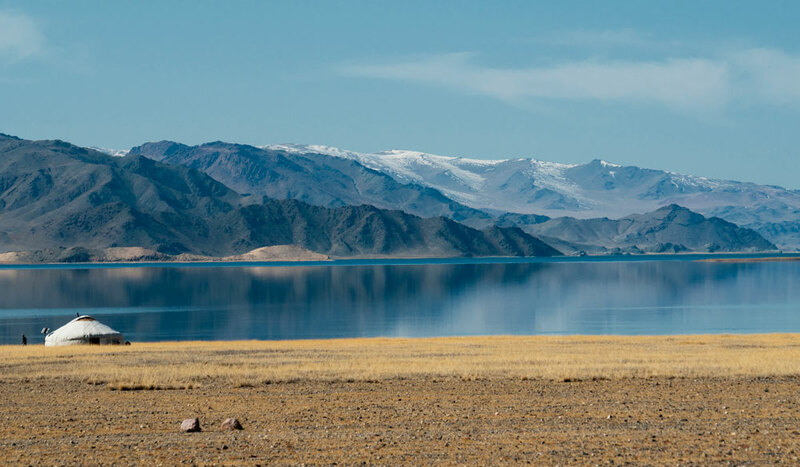 The best way to get around Mongolia is by private bus companies which service the main cities such as Ulaanbaatar, Darkhan, Erdenet, Moron and Dalanzadgad. 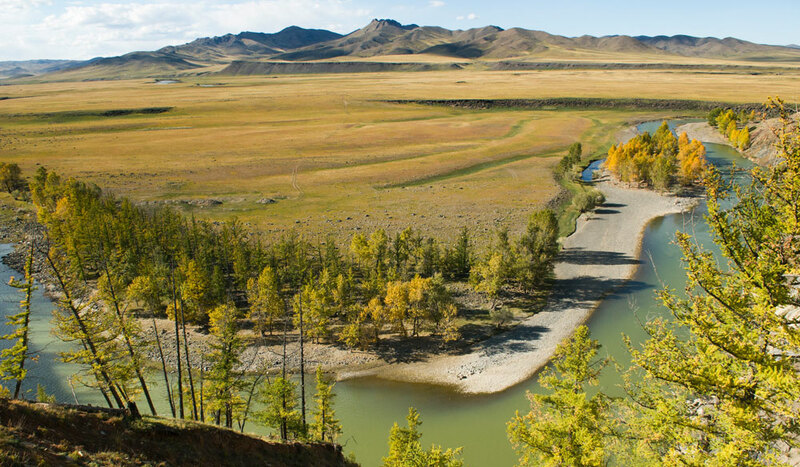 Trains also depart daily from Ulaanbaatar north to Darkhan and south to Sainshand. Dave Stamboulis is a Greek-American photographer and travel writer based in Bangkok, Thailand. His photographic images and articles appear in publications around the world, and recently his book, Odysseus’ Last Stand (the story of his 45000 kilometre bicycle ride journey around the world) received the silver medal for Travel Book of the Year from the Society of American Travel Writers. Dave specialises in ethnic minorities, festivals and mountain cultures, and is an avid trekker, climber, and adventure traveller.